This incredible game is perfect for those who value simplicity yet still look to score huge prizes. Diamond Mine Deluxe is simple to play but offers great features and a huge progressive jackpot. The goal of Diamond Mine Deluxe is to line up matching symbols on the payline. You can use the arrow next to the betting amount to increase or decrease your bet as you see fit. Next, click on the chips at the bottom of the screen to add the amount of credits you'd like to play. Then to lower the lever simply click on the button that says "Spin Reel" and you're good to go. Give Yourself the Deluxe Treatment. Play Diamond Mine Deluxe Now! When the Diamond Mine online slot became a hit among gamblers, slot machine gaming companies introduced another variation with some wonderful add-on features and gave us Diamond Mine Deluxe. The plain Diamond Mine online slot is so satisfying on its own and has quite a large fan-following; and it has a wild symbol and a multiplier. The animations in Diamond Mine Deluxe are not out of the ordinary –the same sprinting sounds as the reels rotate and the typical tinkling sounds of coins dropping. The icons used in the Diamond Mine Deluxe are also the same; traditional sevens, BARs, cherries and diamonds with the new element being the wild symbol and the multiplier. The aim of the player in the game is to line up various combinations of symbols on the single payline in the game. The payline is specified –it is a straight red line right at the center of the reels. Diamond Mine Deluxe will appeal you with all the attributes of its predecessor - the Diamond Mine three reel slot. It also boasts of an additional wild symbol similar to five reel multi-line contemporaries. Diamond Mine Deluxe online Slot offers a wide range of betting opportunities to the players. Wagering with one coin bet will get you decent rewards on this online Slot. However, betting with three coins might reel in the highest reward of 3000 coins on spinning three images 2 times. Betting with maximum coins is certainly the best betting strategy for the players who have a huge bankroll. But the players who have a limited bankroll cannot afford to play with three coin bets on every spin of Diamond Mine Deluxe online Slot. One of the best strategies to master this game is to practice, and luckily you can do so at our Instant Play section, where you can enjoy free slot games with no download required. Symbol: In the Diamond Mine Deluxe online slots, there are six different images on the reels including, the image of 2X, red seven, triple BAR, double BAR, single BAR and juicy cherries. 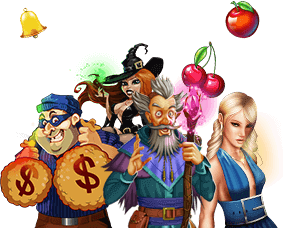 Wild Symbol: Wild symbol refers to the substituting symbol in the game of slots that replaces all the other images on the payline to get you rewarding combinations. In the Diamond Mine Deluxe slot, unravel the wild symbol 2X on the single payline to win the biggest reward in the game. Bet: Bet is the total number of coins that you wager on every spin. In the Diamond Mine Deluxe online slot you can bet with one, two or three coins.